Poker has always been a game for everyone. It doesn’t matter if you’re a 21-year-old math genus or an 81-year-old grandma with a gift for bluffing. It’s also true of the online version where you don’t even have to leave your home or put on a pair of shades. When online poker first came to market in the early 2000s it was initially limited to Windows-based computers as players flocked to the fledgling sites. Fortunately those days are gone and almost every major poker site offers a superb version of their software for Mac users. Playing online poker is as simple as playing on a PC or any other computer. Generally you’re going to want to do some research, find a site you like and then download the requisite software. For Macs this will be a .DMG file instead of the traditional .EXE file that you’ll find with PCs. From there you’ll simply install the software and then sign-up for a free account. At this point it’s time to start playing. You can decide whether you want to make a deposit and play real money or just fool around with the play money games to start. The online poker client itself shouldn’t be hugely different than Windows versions. It’s really just another app that you can minimize or run full screen as you choose. Poker software is typically developed to run in the background so you can always alt-tab out if you need to respond to a message or check your email. Fortunately online poker sites also offer support for multi-tabling on Mac so you’ll be able to resize the various windows as you see fit. Will My Mac Run Online Poker? Was it made in the last decade? If the answer is yes than it’s extremely likely you’ll be able to run any online poker software you want. Poker software is famously easy to run and any Apple computer that’s capable of running OSX (later rebranded as MacOS) should work perfectly for online poker. It’s also a relatively small file so you won’t be taking up much hard drive space. This is in sharp contrast to modern video games, which require gigabytes of hard drive space and beefy video cards. Online poker software is actually relatively simple and even old computers can generally run it not to mention smart phones and tablets. You might even find that it’s a good use for an old laptop that no one in your family uses any more. Most modern poker software requires a modest 2 gb of ram and an Intel-based Mac with Core 2 Duo or higher. To put things in perspective the Core 2 Duo was introduced on Mac way back in 2007. 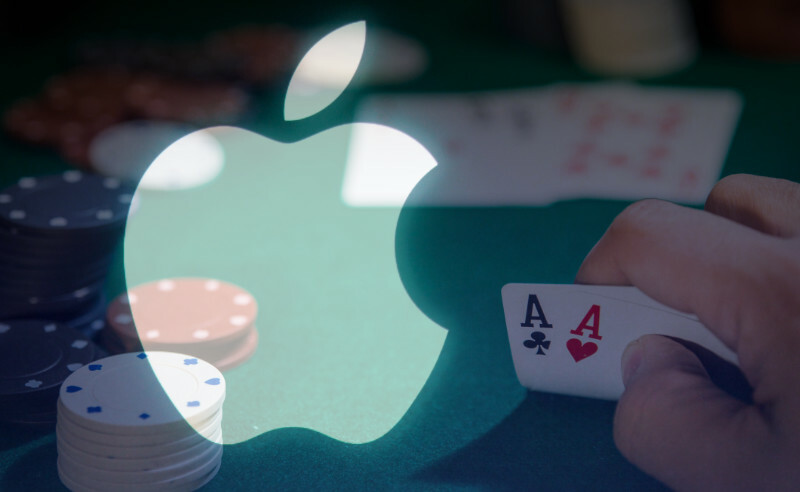 A number of poker sites set the minimum OS requirement as MacOS 10.7, which was called Lion. Everything from then on including El Capitan and Yosemite will also work fine. In general most of the big-name poker site operators have fantastic Mac clients but there are some things to watch out for when picking a new site. The top sites will generally have a standalone client for Apple users that has been optimized to take advantage of OSX. These standalone clients should offer the same features of the main Windows clients but in a streamlined Mac package. Some of these features are more important than others to certain players so you’ll want to do some research and check out a ranking of poker site reviews. Some sites offer Mac players a browser-based client, which have their own pros and cons. We’ll get to those further below. Is Online Poker Worse on Macs? No. Most Mac versions of online poker software are excellent and offer all the features that the Windows editions have including multi-tabling, different games and fully customizable tables, cards and more. Mac vs. Windows is always a contentious debate and Windows lovers may not love the Apple interface but in general, poker clients are pretty much the same. You might have to get used to a few different keyboard shortcuts if you use them. In general Macs struggle with support for modern video games so online poker is actually a nice option if you’re looking for some entertainment on your Apple device. As soon as online poker sites finished porting their software to OSX they turned their attention to mobile devices. These days most online poker sites also offer support for iOS, which is the operating system for iPhones and iPads. You can learn more about the various ways to play online poker on iPad or iPhone in our Mobile Poker section. Browser-based poker is an interesting solution to offering cross-platform poker for some poker sites. Instead of offering a standalone, downloadable client there are some sites that opted to incorporate their software into an actual web browser (usually utilizing HTML5 technology). These browser-based platforms have some interesting upsides. One of the biggest positives of browser poker sites is that they work seamlessly across devices. That means you can use any computing device that is able to run a web browser including Windows, Linux and Macs. You can start playing on browser-based poker sites almost immediately because there’s no download. It’s also advantageous if you want to use an old computer at a family’s house to quickly log on and play a few hands. All that said, there are some definite downsides to in-browser play. In general the software isn’t as good or as reliable. It can be very difficult to multi-table and most serious players will want an actual poker client. In a pinch, however, it’s an excellent option to play poker if you’re unable to access any other form of the game. Do Poker Sites Share Players From All Platforms? Every player that joins an online poker site is put into the same overall pool. It doesn’t matter if you’re playing on a Mac, Windows PC or five-year-old iPhone. Player pools are not segregated by device and that’s a good thing because poker players generally want the largest amount of competition so the tournaments are bigger and the subsequent prize pools also get a huge boost. Bigger player pools is also better for cash game players so that they’ll always have a game to play at their stake of choice. Can I Play No-Limit Hold’em on Mac? Absolutely. Every poker site that has a Mac-friendly client will no doubt have the most popular poker game in history. That said, there are plenty more options besides No-Limit Hold’em on Mac. You can play around with Pot-Limit Omaha, which is like four-card Omaha, in addition to Seven-Card Stud, Omaha-8, 2-7 Triple Draw, Razz, Badugi and more. Of course not every online poker site offers a full portfolio of mix games so be sure to check the individual room to see what games it spreads.